I switched to a new Google account and I just want to know if it is possible. Thanks! No, I don't think Google allow that. The only way would be to get a refund on your original purchase and then re-buy it via your new account. 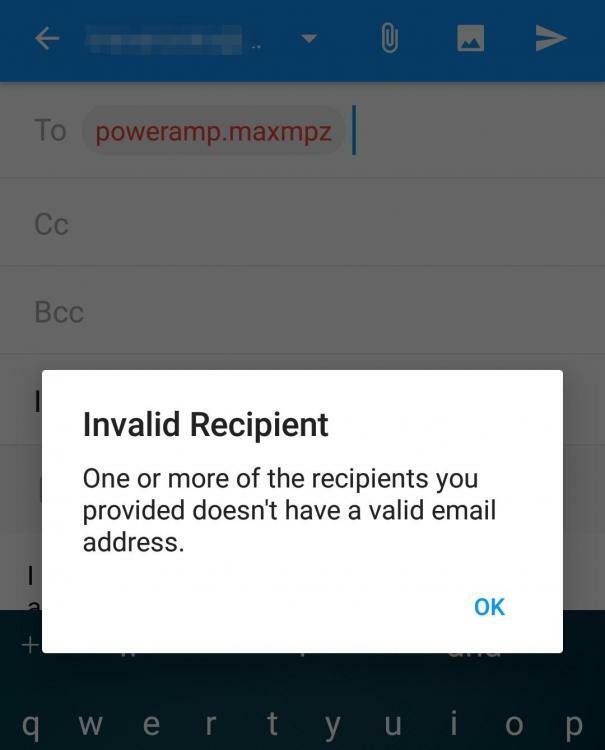 Email poweramp.maxmpz@gmail.com and see if that can be arranged. No harm in emailing to check, there's nothing to lose. I tried to send an email to Poweramp﻿.maxmpz@gmail.﻿co﻿﻿﻿﻿m but it says invalid recipient. The @gmail.com domain part is not showing in your email address field. The address is also listed (and clickable) in the Google Play app page in the "Developer contact" section. I also typed @gmail.com (it just doesn't show) and I figured that the email app I was using was bugged so I used another emailing app to send an email. Hope you have received it.